Garmin Speak is a GPS That Puts Alexa In Your Car | OhGizmo! By Randy Donack on 10/18/17 • Leave a comment! The Garmin Speak is an odd looking GPS, it doesn’t have a traditional display like other GPS systems, but it still includes a small display which can readout upcoming turns and lane guidance arrows. Many navigation apps do the same using the top 1/4 of the screen, and after a while you sort of stop looking at the satellite image and just focus on the upcoming turns. So I actually like the idea of having a readout of just turn-by-turn directions. Now, if that was all the Garmin Speak did, it’d still be an interesting piece of tech, but Garmin has teamed up with Amazon to allow you to tap into Alexa while driving. Much like any Echo device, you can adjust music, ask questions, issue commands and control smart home products without ever taking your hands off the steering wheel. 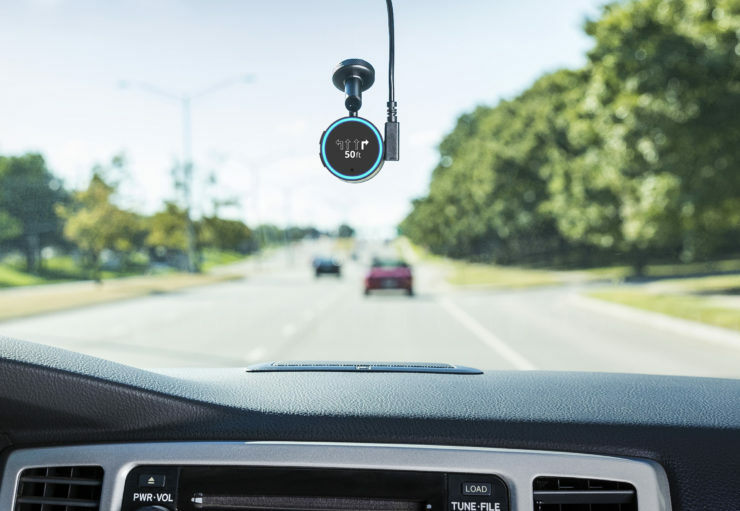 It looks pretty cool, and might be worth the $149 price for some, but I think it’s going to be hard to sell people on a GPS in 2017 when you can buy a $10 suction cup and stick your phone to your windshield for directions. Call me when the price is slashed in half though.